Ironwear Terminator-Suit™ combines the 2 to 60 pound Uni-Suit™ (long) with IRONWEAR’s™ 3 to 7 pounds per hand (6 tp 14 pound pair) Hand Wrist Irons™, 1 to 5 pound Iron Belt™ (setup as 2 ankle weights) and ½ to 3 pound (1 to 6 pound pair) of Shoe Irons™ to create the world’s most challenging performance weighted training suit. 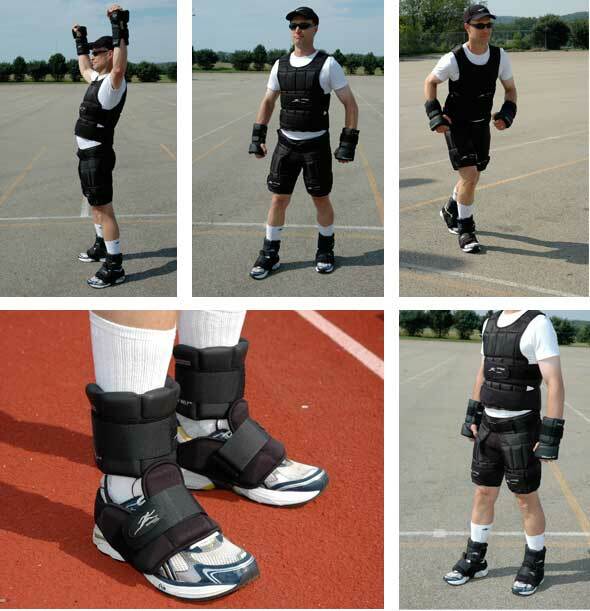 Ironwear Terminator-Suit™ combines all the intense patented IRONWEAR ™ training products into one system that is comfortable, easy to wear and fun to use. Ironwear Terminator-Suit™ as supplied is adjustable from 7 to 48 pounds, and includes 80 individual ½ pound patented soft Flex-Metal™ weights. Ironwear Terminator-Suit™ has unique stretch pockets which can hold one or two weights securely on all sides. The pockets are uniformly distributed over the body and allow the patented soft Flex-Metal™ weights bend and flex with your every movement. The thin design can be worn comfortably on top or under your clothing or sweats. Ironwear Terminator-Suit™ has 80 stretch pockets and with one weight in each pocket the system weighs 48 pounds. Additional weights can be purchase to take the system up to 97 pounds by putting two weights in the pockets. For example the Uni-Vest™ (long) has 38 pockets which can hold 76 weights for a total combined weight with the shell of approximately 40 pounds. The Uni-Pants™ has 18 pockets and can hold 36 weights for a maximum weight of approximately 20 pounds with the shell. 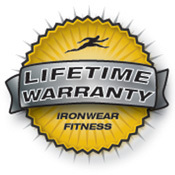 Ironwear Terminator-Suit™ gives you the ability to move weights back and forth between the different products to create the exact weight distribution you want. 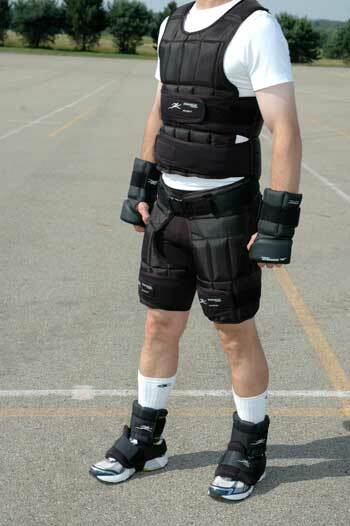 For example you can take 76 weights and load the Uni-Vest™ (long) to 40 pounds or you can lower it to 10 pounds and store the weights you do not need in the Uni-Pants. 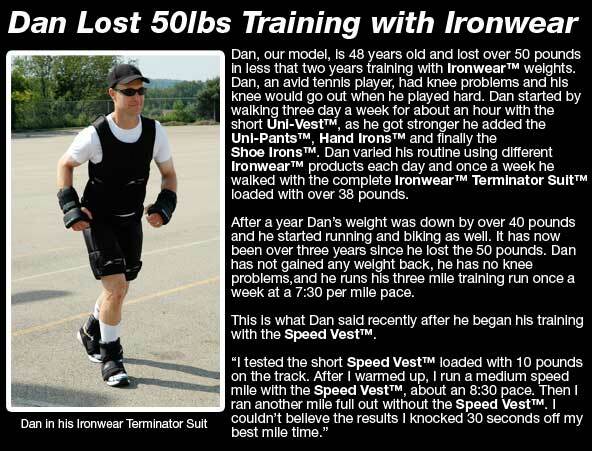 Ironwear Terminator-Suit™ is adjustable to 85 pounds with the purchase of additional weights and adjustable up to 122 pounds with the purchase of a long Under Vest™. No other suit gives you the heavy weight carrying ability of the Ironwear Terminator-Suit™ Uni-Suit™ .